Online mashup star Nick Bertke, better known as Pogo, has made a career out of crafting relics of our childhoods into trippy, mellow soundscapes: his latest target is Spongebob Squarepants. 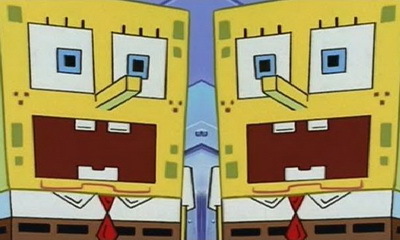 The fruit of his labors, "SquareBob SpongeMix," is a gently uplifting dance track true to the spirit of the show. As always, Pogo makes great use of soundbites (cleverly positioning the cadence of the show's dialogue to create some super-jazzy rhythms), and much like the source material, he keeps the mood light and sunny--yet the levity only works thanks to the thoughtful, mature melodies he brings out. The moral of the story? Childhood may be gone, but it's never too late to revisit Bikini Bottom, especially with a soundtrack like this. And no, Patrick, mayonnaise is not an instrument. Horseradish is not an instrument either.